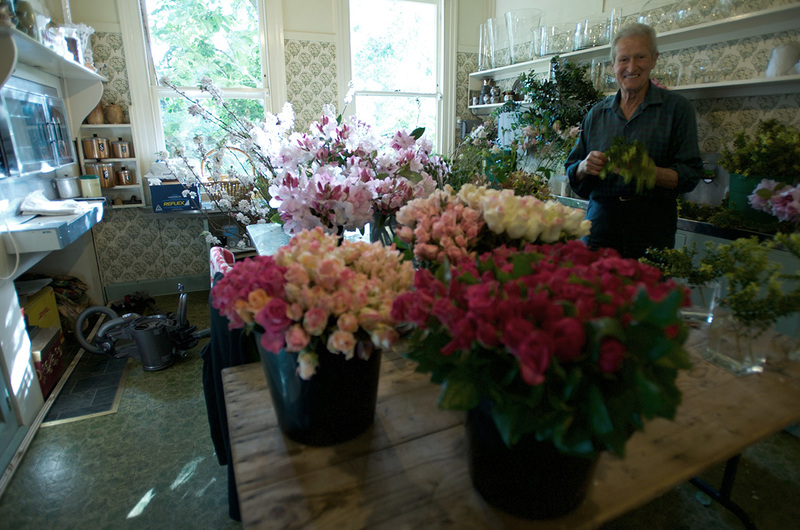 Gardens are Michael Morrison’s passion; particularly the gardens at Cruden Farm. In his teens Michael started to design and make small rock gardens using pieces of found granite. After undertaking horticulture studies and 10 years working with a local nursery, in 1971 he started to work on Sunday mornings for Dame Elisabeth, who’d had little help in the large garden since making Cruden Farm her home, after her husband’s death in 1952. Like the garden at Cruden Farm, Michael’s involvement has grown over the decades and now he can be found dead-heading, raking, watering, planning, pruning and propagating on pretty much a full time basis. Their partnership was significant as he and ‘the Boss’ thought alike and in the words of one of Dame Elisabeth’s grand- daughters, Penny Fowler, they were ‘kindred spirits’. In 1984 Michael started keeping a Diary of what had been achieved in the garden each day. He has maintained the Diaries ever since and they provide a fascinating insight into the growth and care of the many different gardens and trees at Cruden Farm. In 2017, the Diaries were transformed into a book by Michael and Lisa Clausen, offering rare insights into the close relationship between the two gardeners and their decades long approach to managing Cruden Farm. During Dame Elisabeth’s lifetime, Michael was often in charge of the garden when she was away from it but as soon as she returned to Cruden Farm, she would be out there with him, both gloveless and hatless, getting their hands dirty as they worked away. They made all of the important decisions about the garden’s future together and often had the same thought at the same time. They shared all of the jobs that needed to be done and after 47 years of working at Cruden Farm, Michael now quips that in another three years, he might have finished his apprenticeship.